It’s been called “the show of the year” and anyone who has seen it could only agree. It bursts off the stage with a power and intensity seldom seen in the musical theatre genre, and Emma Kingston and Jonathan Roxmouth deliver performances quite remarkably spine-tinglingly brilliant! Eva Peron triumphed over the ruling class of Argentina at a time when a woman didn’t have the right to vote-she was instrumental in getting it- and she was sneered at for being “from the wrong side of the tracks”. Her empathy for the working class and her understanding of the needs of the poor transformed her into the spiritual leader of Argentina, and she’s the enduring part of Argentinian history. 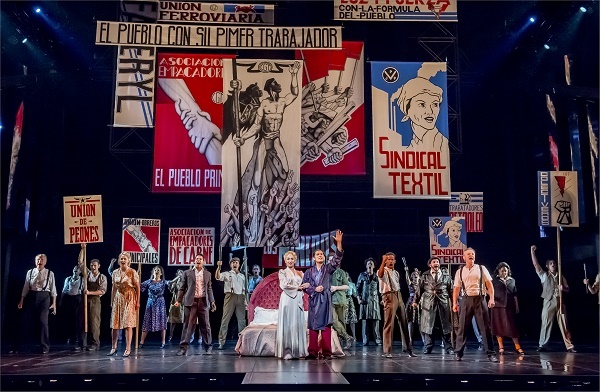 EVITA, the Andrew Lloyd Webber and Time Rice musical, was first performed in 1978. It was a smash hit, capturing Peron’s meteoric rise to the top of the political pile from a career as a radio star – the social media of the day. 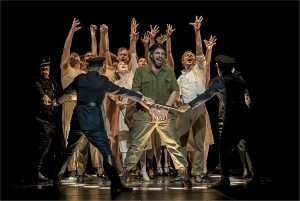 This production with a powerhouse South African cast led by the UK’s Emma Kingston, is spectacular and triumphant. 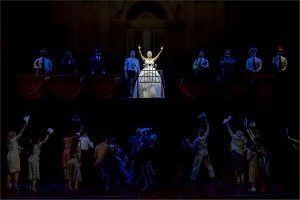 The last time local audiences saw Evita was in a bonsai version with musical theatre doyen Angela Kilian in the eponymous role. This time, it is bigger, better, louder and prouder on the Teatro stage. The narrator – a cynical Che Guevara- is played with flawless brilliance by local musical theatre favourite Jonathan Roxmouth. Experiencing the combined vocal power of Roxmouth and Kingston is something you really don’t want to miss if you are a committed musical theatre fan. It is absolutely astounding. Kingston, a newcomer to South Africa and an up-and-comer in her native England, has a set of vocal chords that soar through this substantial singing role. 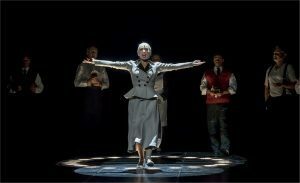 She also has incredible stage presence, capturing the mesmerizing allure of Eva as a leader and as an orator. The music is evergreen-with the powerful central song, Don’t Cry for Me Argentina delivering the expected goosebumps and Isabella Jane doing pitch perfect justice to Another Suitcase in Another hall. The 22-strong ensemble, full of well-known performers such as Carlo McFarlane, Mark Richardson and Earl Gregory, doesn’t put a foot wrong. The production is superb in every way and is a powerful piece of political theatre. Don’t miss out on the absolute power of the two leads giving new life to his legendary tale before the production goes on tour.